Don't you just love it when several projects come together? 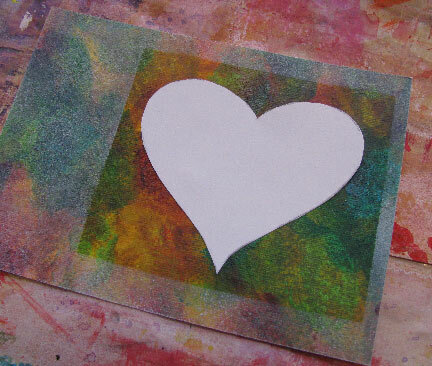 Years ago, I painted some acrylic and rubbing alcohol papers to use "someday" as a background. Even more years ago, I played with creating some expanded squares. 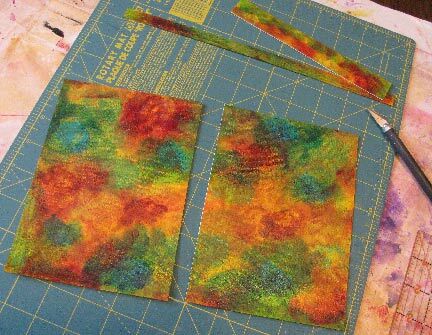 And last week, I enjoyed using them both with some layered gesso masks! 1. Cut your background paper to size. I used half for the piece Spring is Coming, and half for today's piece, Untouchable. 2. 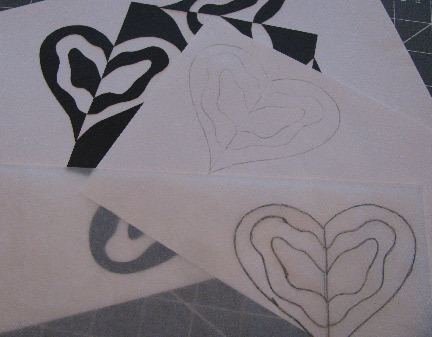 I traced one of the expanded heart patterns and transferred it to a piece of card stock. I also needed a second solid heart for later. 3. 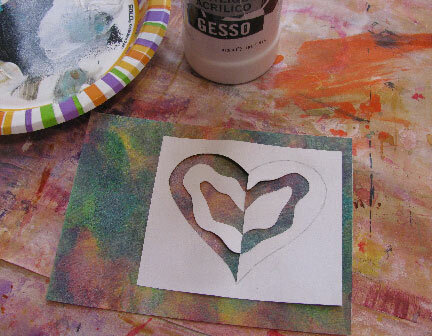 Tape down the pattern and use a small foam roller to apply white gesso to the unmasked portions. 4. Remove the square mask, and replace it with the solid heart. 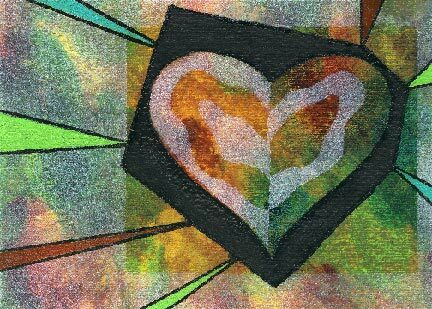 I also used masking tape to create a geometric shape around the heart (not shown above, but you can see the results below!). Roll with black gesso. 5. Draw additional shapes around the heart design if you wish. I used a black Permopaque pen. 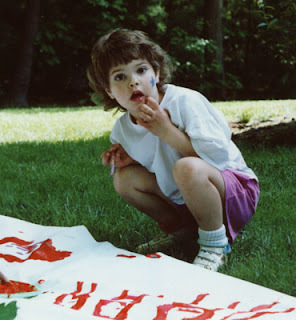 Paint them in with the lighter colors used in the background paper (Cobalt teal, Quinacridone gold, Light green). Copyright 2017 Cyndi Lavin. All rights reserved. Not to be reprinted, resold, or redistributed for profit. The tutorial may be printed out for personal use or distributed electronically provided that entire file, including this notice, remains intact. This really turned out pretty cool!!! I had to reread a few times to grasp exactly where/how the black around the heart came from! Love it!